A number of creators pitched smart padlocks to the Kickstarter community last year and met with mixed results. The Quicklock Padlock was the most ambitious of the lot, being the only keyless padlock to support both Bluetooth 4.0 and NFC (Near Field Communications) for unlocking. But it could not translate that promise into media attention and eventually fell woefully short of its $100,000 funding goal. There’s finally some good news for its 36 Kickstarter backers, though: SafeTech Products, the company behind the Quicklock, has announced that its smart padlock is now available for preorder and will be available in March. 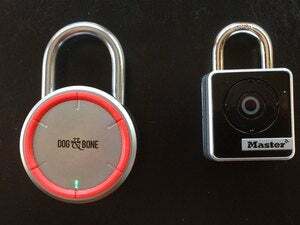 There are two ways of unlocking this USB-charged padlock. You can do it over Bluetooth via the free Quicklock iOS/Android app, or if that’s not an option, you can use NFC-enabled keys that are available in the form of a label, fob, or a stainless-steel ring. The app can be used to create and share access codes with others—say a friend borrowing your $15,000 Koga Spyker Aeroblade bike—and also to find out who accessed the lock and when. 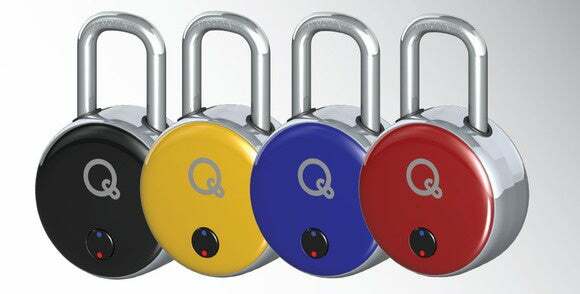 Where NFC-based unlocking is concerned, each padlock is limited to a maximum of 50 NFC codes. According to the company, the $79 keyless padlock will come standard with one NFC-enabled card, meaning that you will have to dig deeper into your pocket for the NFC ring and fob. Why this matters: In a world where even a successful crowdfunding campaign is no guarantee that a product will actually ship, it is heartening to see a feisty little company bounce back so strongly from such a disastrous Kickstarter campaign. It’s now poised to hit the market ahead of the Noke (pronounced “no key”), a Bluetooth-enabled padlock that raised more than $600,000 via crowdfunding in September, only to have its release pushed back by six to eight weeks from April. Although the product itself looks pretty decent—well, at least on paper it does—we will reserve final judgment until we get to spend some time with it.